Consistent further development of BMW eDrive technology once again ensures enhanced driving pleasure in the purely electrically powered models of the BMW i brand. 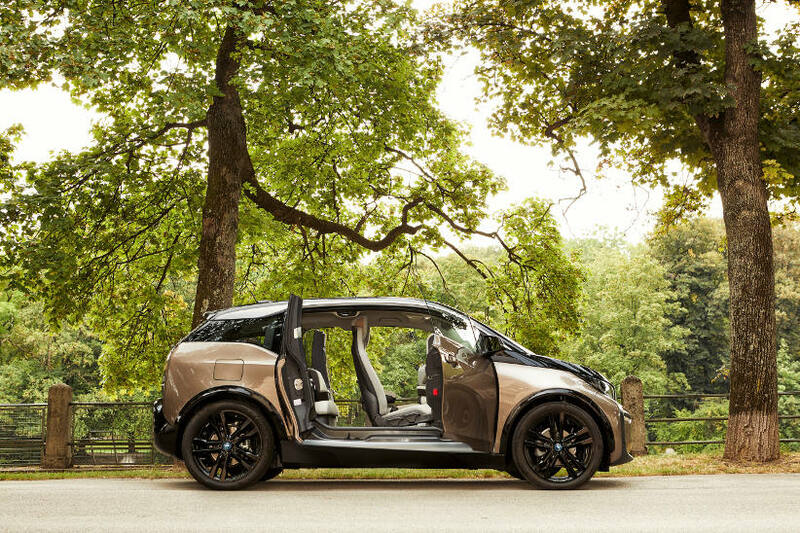 In future, a sports package will be available for the BMW i3 that includes black wheel arch surrounds and a sports suspension with specific dampers, springs and stabilisers, lowered suspension, a widened track and 20-inch light alloy wheels. The optimised guidance system in the tile design of the iDrive operating system is now available in conjunction with the optional navigation system Business. In future, the options telephony with wireless charging and wireless LAN hotspot will also be available for the BMW i3 and BMW i3s. In addition to vehicle weight and the installation space taken up by the high- voltage battery, driving performance and energy consumption likewise remain virtually unaltered by the increased range achieved by the latest advancements. 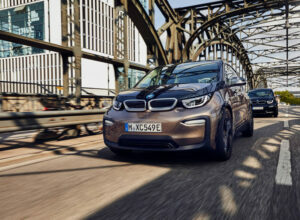 The BMW i3, powered by a 125 kW/170 hp electric motor, accelerates in 7.3 seconds from zero to 100 km/h, while the BMW i3s with 135 kW/184 hp completes the standard sprint in 6.9 seconds. This means that the two models both set the benchmark for sporty performance within their vehicle segment. Thanks to spontaneous power delivery as is typical of electric motors, the BMW i3 and BMW i3s even reach the level of sports cars that have a considerably more powerful combustion engine: here the figures are 5.1 and 4.3 seconds respectively for the sprint from 80 to 120 km/h. 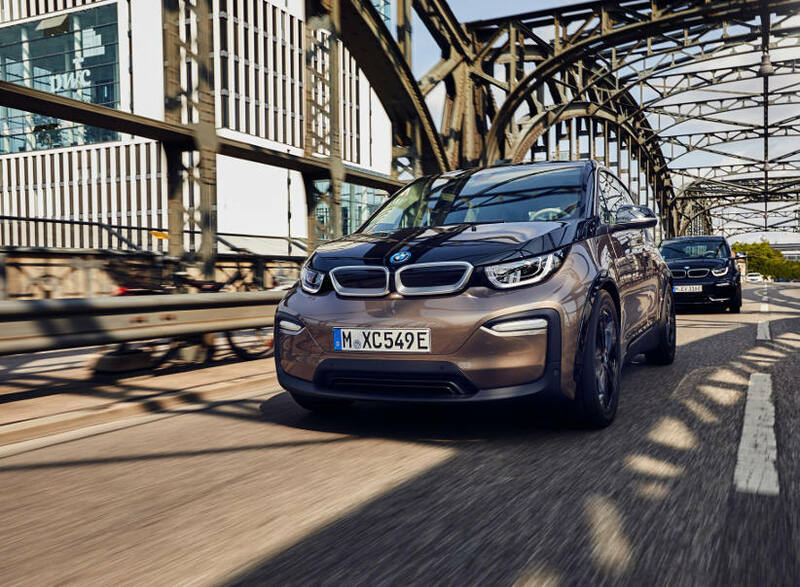 The combined power consumption of the BMW i3 (120 Ah) is 13.1 kWh per 100 kilometres*, while the BMW i3s (120 Ah) has a power consumption of 14.6 kWh to 14.0 kWh per 100 kilometres*. The high efficiency of the electric motor and the enhanced battery capacity result in a range that is nearly 30 per cent higher than that of the predecessor models. The range of the BMW i3 (120 Ah) is 359 kilometres* (previously 290 to 300 km) according to NEDC, and 285 to 310 kilometres**(previously 235 – 255 km) according to WLTP. For the BMW i3s (120 Ah), a range of 330 to 345 kilometres* (previously 280 km) has been calculated according to NEDC, and a range of 270 to 285 kilometres** (previously 235 –245 km) according toWLTP. In everyday conditions, both models now achieve a range of 260 kilometres*** (previously 200 km). Since 2014 the BMW i3 has been the world’s best-selling electrically powered vehicle in the premium compact segment. Onthe streets of urban conurbations it has come to stand as a symbol of pioneering mobility. Its characteristic shaping is closely linked to the LifeDrive vehicle architecture, which combines an aluminium chassis with a passenger cell made carbon fibre reinforced plastic (CFRP). With the introduction of the new battery generation, the design of the BMW i3 and the BMW i3s has been enriched with fresh accentuations. The choice of body finish for the two models has been extended to include the new variant Jucaro Beige metallic with accentuations in Frozen Grey. Meanwhile the exterior paint finishes Mineral Grey metallic, Imperial Blue metallic, Melbourne Red metallic, Capparis White and Fluid Black are still available. To match the new body finish, the optional interior design Loft now includes upholstery in the fabric/Sensatec combination “Electronic” – in Carum Grey with accentuations in brown and interior surfaces in Electronic Brown. The optimised menu display for the iDrive operating system with buttons in tile structure and in live mode is now also available in conjunction with the optional navigation system Business. This means that the desired content is now availableeven more quickly and conveniently. What is more, the program of optional equipment items now also includes the option of telephony with wireless charging, which allows compatible mobile phones to be recharged without use of a cable. The wireless LAN hotspot, likewise newly available for the BMW i3 and the BMW i3s, provides a fast online connection for up to ten end devices inside the vehicle.